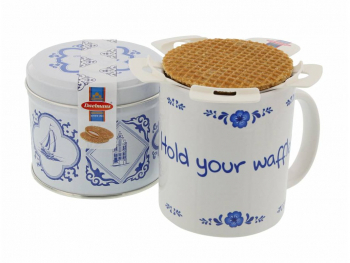 Delicious bite-sized stroopwafels, each 4.5 cm big, which makes it the perfect snack size! 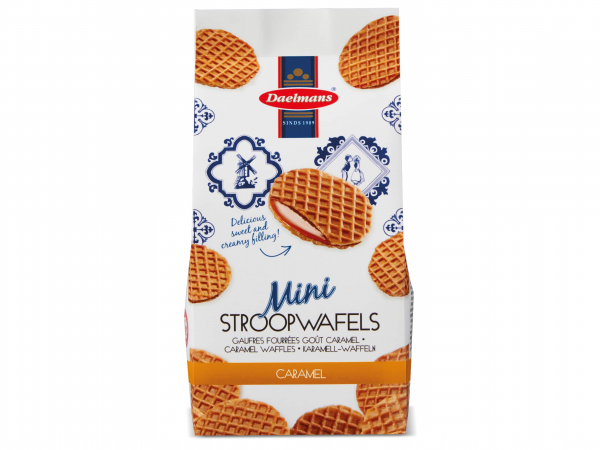 These mini stroopwafels come in a bag or in a case. 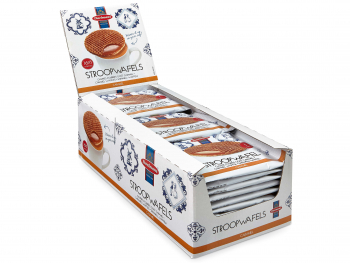 Every bag has approximately 25 mini stroopwafels in it and every case has 12 bags in it. 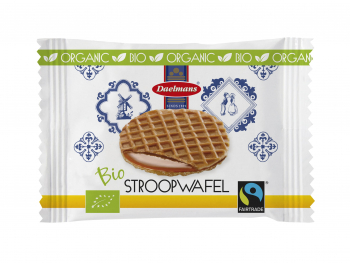 All mini stroopwafels are filled with a creamy and buttery syrup filling, enriched with natural Bourbon vanilla. One bag with approximately 25 mini stroopwafels weights 200 gram. 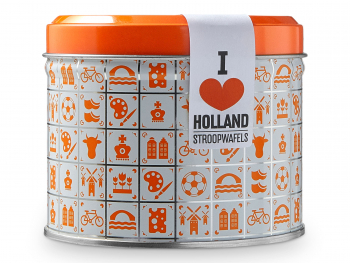 One case with 12 bags weights 2.7 kg.